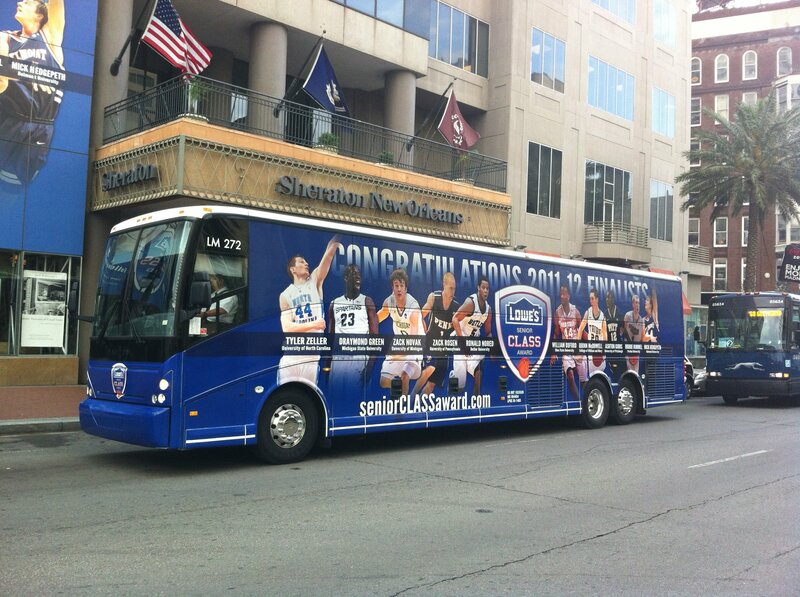 Lowe's Senior CLASS bus in New Orleans. 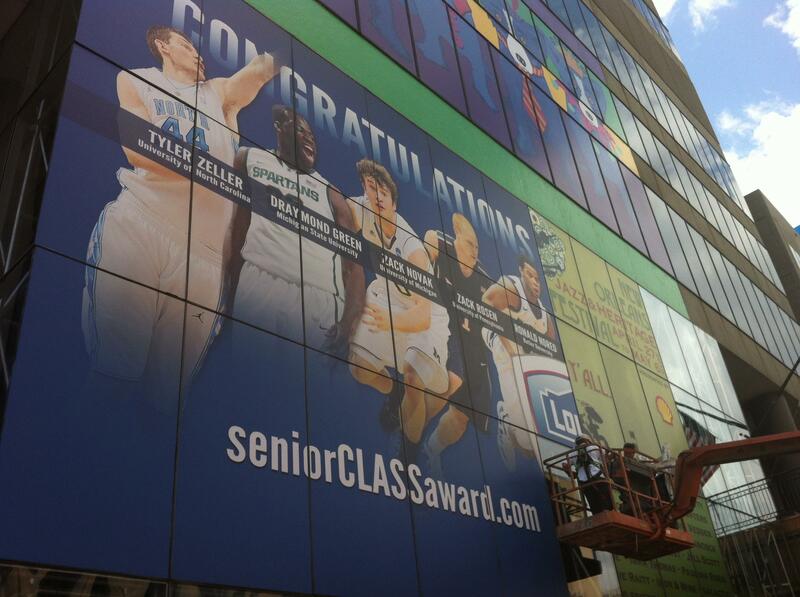 Installing the Lowe's Senior CLASS photo on the Sheraton in New Orleans. 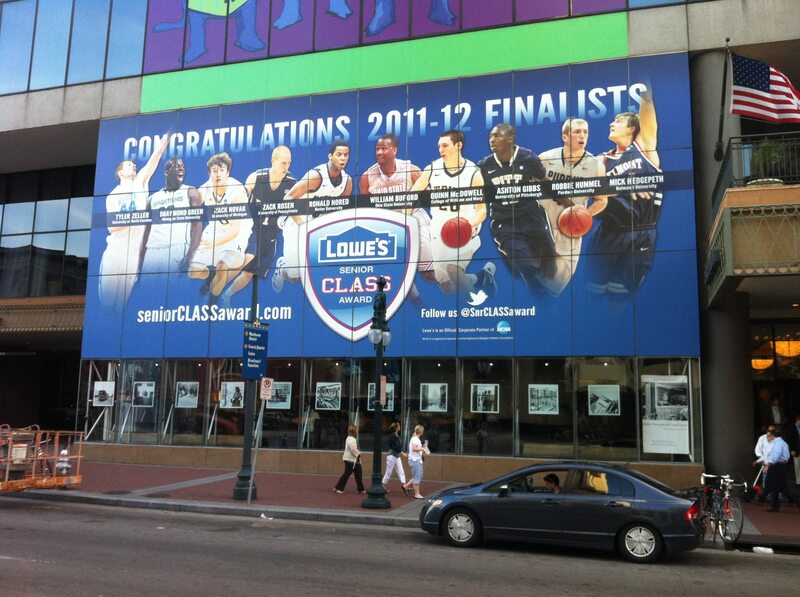 Lowe's Senior CLASS Award finalists on the Sheraton Hotel in New Orleans. Having been inspired by Monday’s post on travel- here are my last five destinations where I met Penn alumni. Probably one of the closest destinations and I went for a work presentation. As I was setting my up my presentation, my contact and I discovered that we were both Penn undergraduates. Small world. I met my alumni mentor, the chair of the Global Alumni Network Board, to discuss volunteer leadership and the direction of the Penn Club of Philadelphia. All while enjoying tea outside in November. While I was visiting a friend from Arizona, I saw a Penn alumna who I hadn’t seen in years. I reached out to the Penn alumna when my friend moved there last year because I thought they might have something in common. Fast forward today and they are good friends! One of my Penn roommates got married and I trekked up to central Maine to celebrate her special day. Several Penn alumni made the trip and we were all seated together at the reception. To break the ice, we all shared stories about our days at Penn. Here’s to finding Penn alumni everywhere! Filed under Alumni Perspective, Alumni Programming, Nicole O. Calling all Penn Alumni in Classes 1997 to 2011! You are cordially invited to yPenn’s first ever HighBall in Philadelphia this Saturday, March 31 from 9 PM to 1 AM. We will be partying at Stotesbury Mansion (1923 Walnut Street). The event is 21+ to enter, and will feature a full open bar, light bites, dancing, and the musical stylings of Penn alumnus and DJ, Akpo Omene! This event shouldn’t be missed, so register HERE right now. Tickets are $40 online and $45 at the door, so get decked out in your favorite cocktail attire and join your fellow young alumni in the City of Brotherly Love! HighBall hahy-bawl (n.) – A massive, blow-out party for you and your friends. Here's an example from last year's party in New York. Our group of dedicated volunteers! We expected a good time – after all, we were with old friends and family, giving back to the Philadelphia that nurtured and entertained us more than 30 years ago. 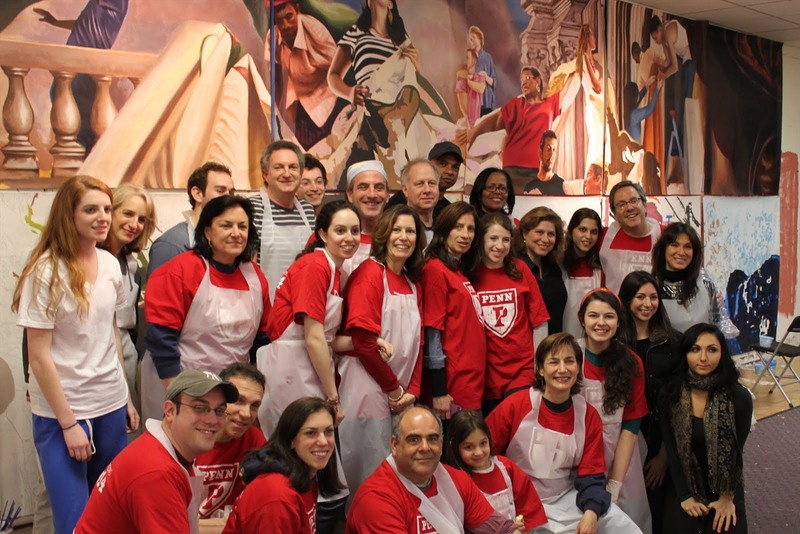 But, the Class of 1981’s First Annual Community Service project – in partnership with the Philadelphia Mural Arts Program, wowed us from beginning to end. Perhaps our first clue was the bright sunshine, when the forecast called for rain. Or the brightly colored trolley we boarded as a group. Every day, Philadelphia residents are amazed by the more than 3,500 dynamic, larger-than-life images that grace the city’s neighborhoods and have earned international acclaim as the largest outdoor art gallery in the world. Now it was our turn to explore this important and beautiful project. Lots of familiar faces from the Class of 1981 joined us – Dale (Borenstein) Bell and Allan Bell, Debbie (Margulies) Buchwald , Lisa (Higgs) Dutton, Rhea (Schwartz) Finkelstein and Eddie Finkelstein, Caryn Feuer Liss, Jeffrey Lonoff, Leslie Posnock, and Wendy Sardinsky. Other Penn alums included Jon Liss (Class of 1976), Karen (Friedman) Lang (Penn Med 1990), Brittany Bell (Class of 2011), David Fine (Class of 2011), and future grad Brandon Bell (Class of 2014). Old friends, new friends, spouses and children shared soft pretzels and took in the sights. Our tour took us through neighborhoods blighted by poverty, but brightened and made hopeful by the enormous, intricately detailed murals created by the talented and dedicated people of the Mural Arts Program, along with volunteers and professional artists. 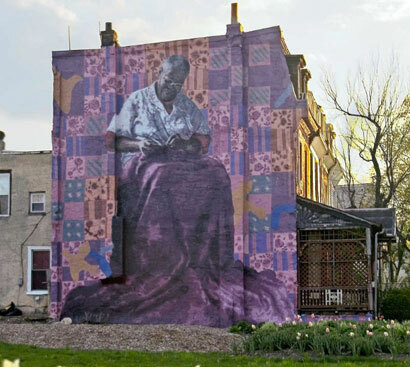 Among the highlights of our tour was “Holding Grandmother’s Quilt,” depicting a grandmother and her three grandchildren, which spans two walls in the West Philadelphia neighborhood of Mantua. A former empty lot – a haven for drug dealers and junkies – now a community garden – lay between them. “Common Threads,” a mural located at Broad and Spring Garden Streets, conceived as a celebration of Philadelphia’s youth, astounded us with its sheer size and artistry. “Shadow of a Church,” located at 22nd and Walnut Street, formerly an empty wall abutting a service station, amazed us with its realistic depiction of a church – no longer there – reflected in the windows of a (nonexistent) brick office building. We passed murals celebrating history, vocations and organizations. We passed murals depicting sunflowers and celebrities. We passed murals painted by children who had seen too much fear and sadness, but who dared to dream of a better tomorrow. We saw murals which depicted the everyday struggles of the people who live in their neighborhoods. Each mural brought a burst of color and light to the walls it graced. Mid-tour, we grabbed paintbrushes, joined the Mural Arts Program staff in their studio, learned the innovative process for creating these installations, and had a blast painting a mural called “Finding the Light Within,” which seeks to bring awareness to suicide prevention. The project, slated for completion this summer, will be installed near Penn’s campus at Horizon House (120 South 30th Street). Each of us pledged to attend the opening ceremony. After a tasty detour at the E. Craig Sweeten Alumni House for snacks and drinks, we headed to the Palestra and cheered our Quakers as they convincingly beat Yale, 68 – 47, in the final home game of the Penn basketball season. We hope you’ll join us in March of 2013 for our Second Annual Community Service Project. If you would like to help plan our next event, please contact Caryn Feuer Liss, 215-888-9598, carynfl@aol.com, or Leslie Posnock, 732-895-0814, lposnock@schwartzposnock.com. 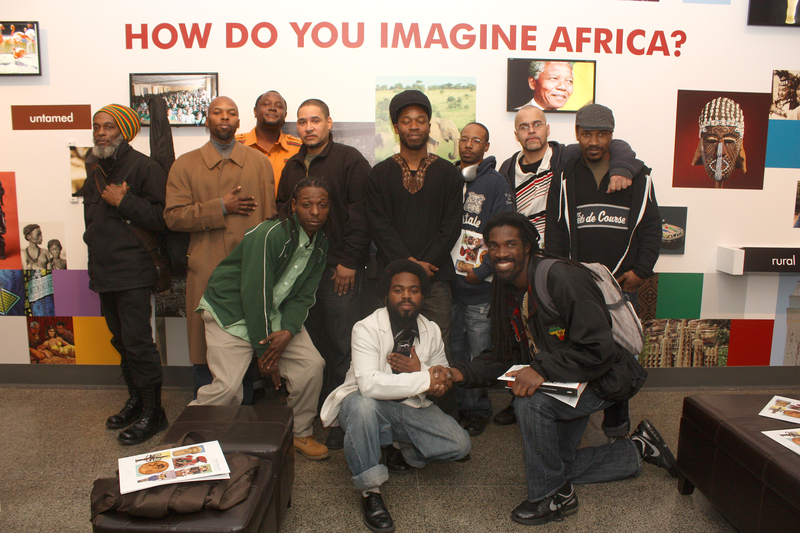 Recently, the title of an event at the Penn Museum caught my eye: Hip Hop Artists Imagine Africa. Maybe it grabbed my attention because I hadn’t expected it, and maybe that’s that why I read on that six hip hop artists would be performing at the Penn Museum on Wednesday. Their visit is in conjunction with the Imagine Africa exhibits, one of my favorites currently at the museum. Needless to say, I kept reading. What was next was unexpected, again. This isn’t the artists’ first visit—they came in January, and the music they will bring on Wednesday will be their original responses to the exhibit. I decided it was time to check out the artists: they’re local, and I wasn’t familiar with their music. Darian the Great, one of the artists, has already released a song about Imagine Africa called “Foundation of Imagination.” The first line: “You ever seen something, you know, that just really spoke to your soul? I mean really inspired you, made you really take the time to think, think about who you are.” Listening on, I learn that he’s talking about the Penn Museum, which he actually mentions in the song, even along with the sphinx in one of the galleries. Ultimately, though, he raps about learning history and respecting tradition, a topic I decide I like very much. I have a pretty busy schedule next week, with midterms, homework, etc., but I don’t think I’ll be able to miss this. A free concert that’s in the same building as my classes that day? Yes, please. There’s more information on the Penn Museum’s online calendar here. 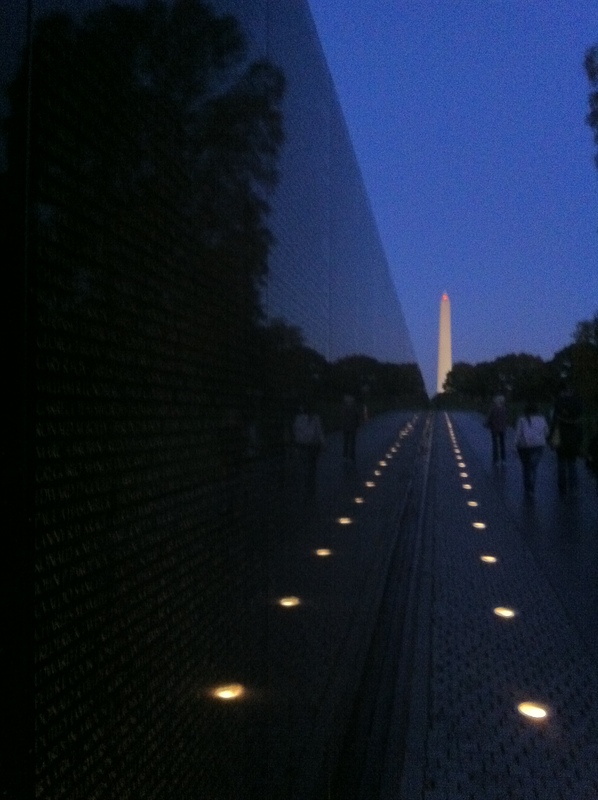 Something about the black marble of the Vietnam Veterans Memorial in the foreground and the line of sight being drawn up through the Washington Monument under the dusky sky made me pause and wanted this picture. 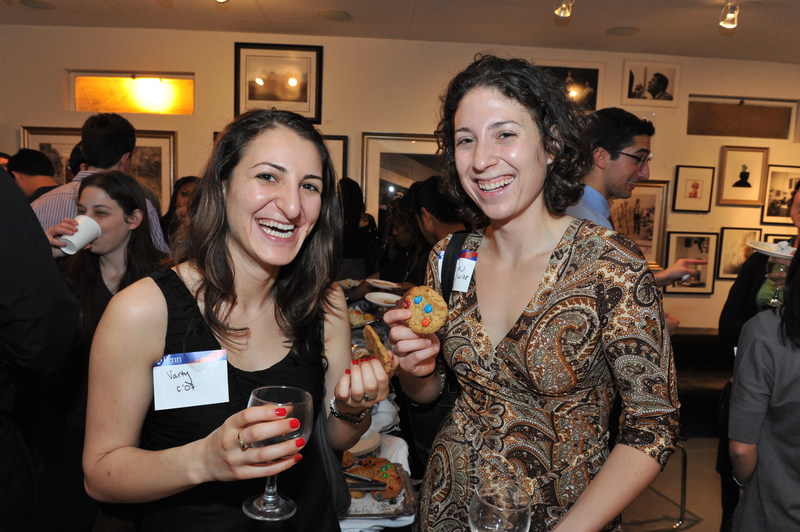 For club information, visit the Penn Club of Washington, DC’s webpage. 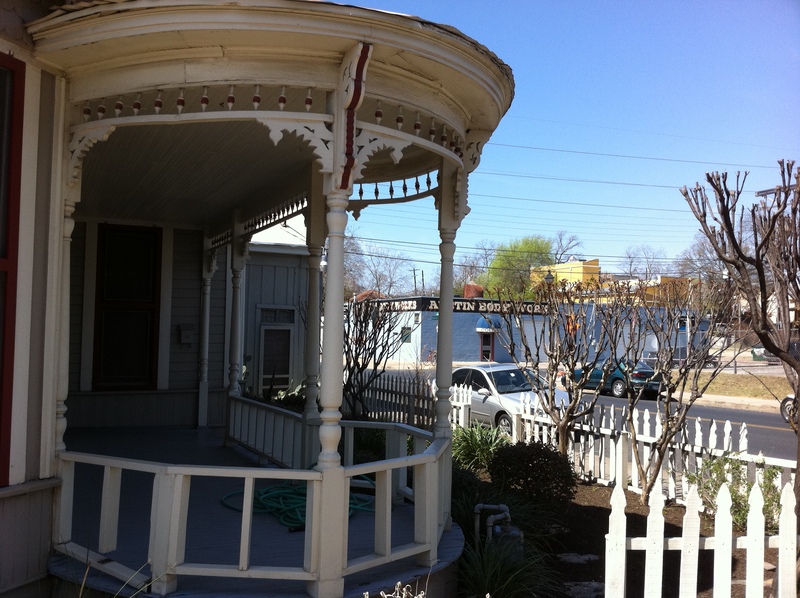 Here is a vista of the neighborhood of East Austin. For more information about alumni activities in the area, please contact our alumni representative for Austin. 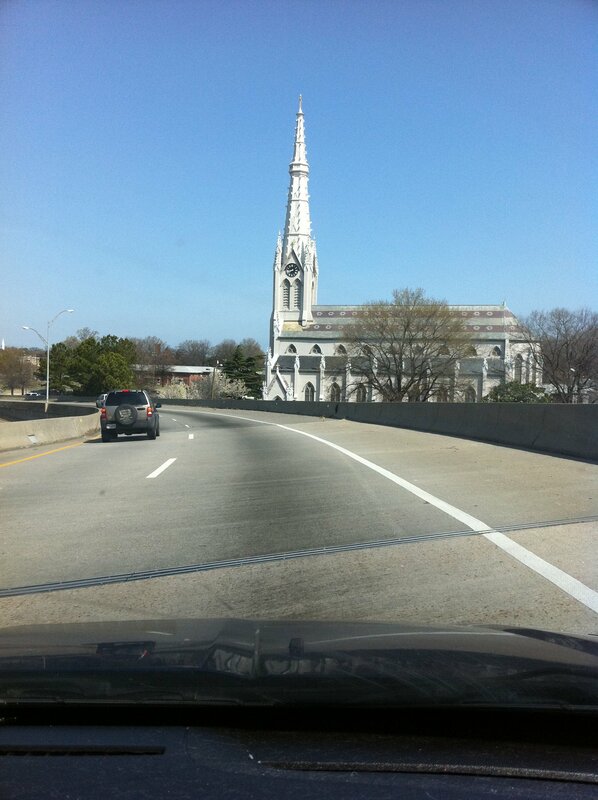 The unusual juxtaposition of a church from New England, deep in the Tidewater city of Norfolk, VA was a curiosity. For more information about alumni activities in the area, please contact our alumni representative for Hampton Roads. 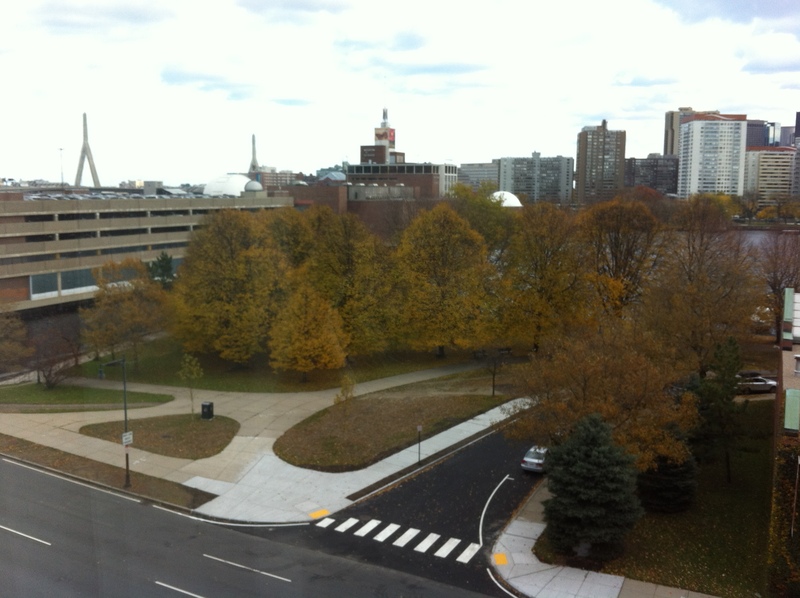 This is view of Beantown from Cambridge is so quintessentially Boston. 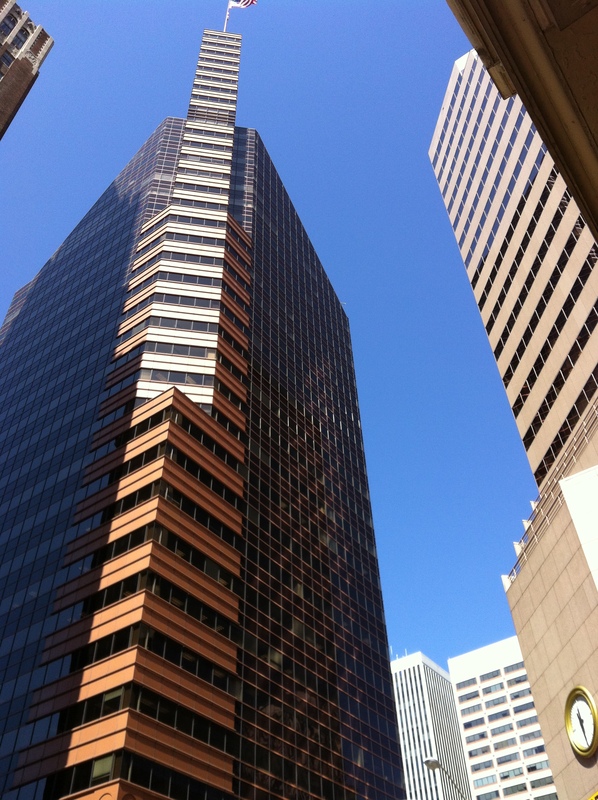 For club information, visit the Penn Club of Boston’s webpage. On the steps leading to the entrance of the State Capitol, one is marked as a mile above sea level. 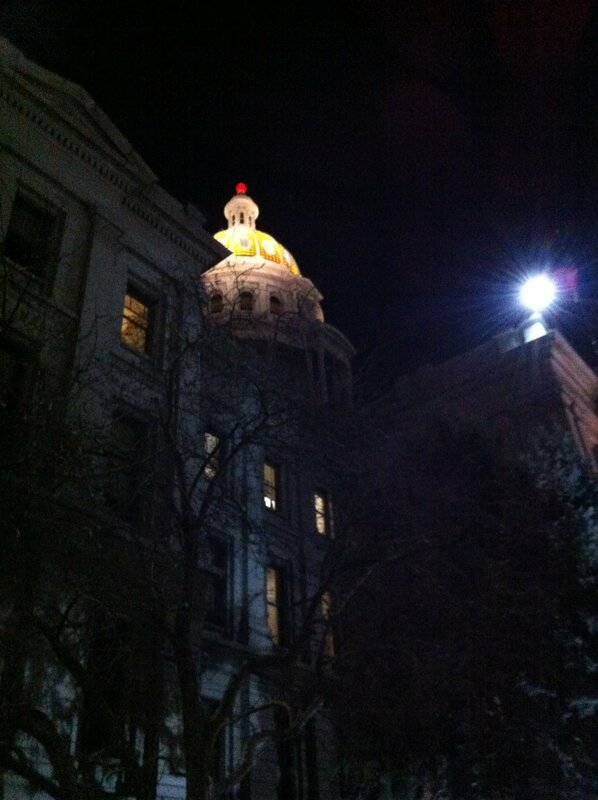 While I don’t think that the iPhone is best for night pictures, I found this to be a fun image to take.For club information, visit the Penn Club of Denver’s webpage. 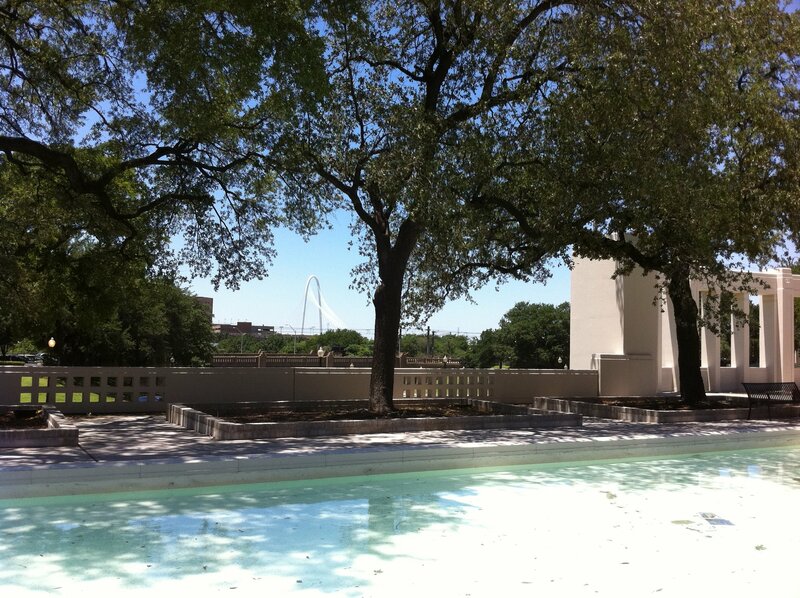 While for most Americans Dealey Plaza is known as the backdrop to JFK’s assassination, I found it to be a charming tribute to the pioneer spirit that forged Dallas.For more information about alumni activities in the area, please contact our alumni representative for Dallas and Fort Worth. Usually, I think of Camden Yards or the Bromo Seltzer Tower as typical Baltimore building. So the drama of lines of the building drawing you up to the American flag at the top was a favorite of mine to photograph. For club information, visit the Penn Club of Baltimore’s webpage. The beauty in the massive brickwork in this theatre couldn’t go unnoticed and it caught my attention. For more information about alumni activities in the area, please contact our alumni representative for Richmond. I’m sure I’m not alone in thinking about James Bowie, Davey Crockett, William Travis, and the like as well as remembering the Alamo when someone mentions San Antonio. 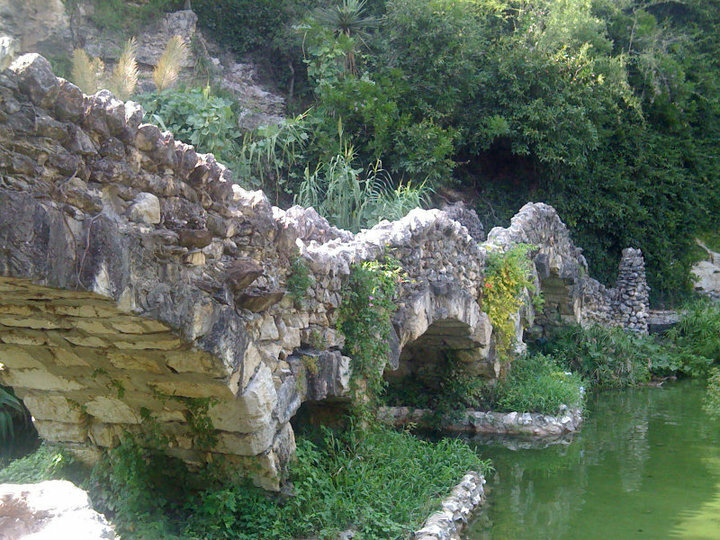 However, did you know that San Antone has stunning Japanese Tea Garden? This charming foot bridge looks inspired by other gardens’ moon bridges and immediately provides me with a sense of calm. 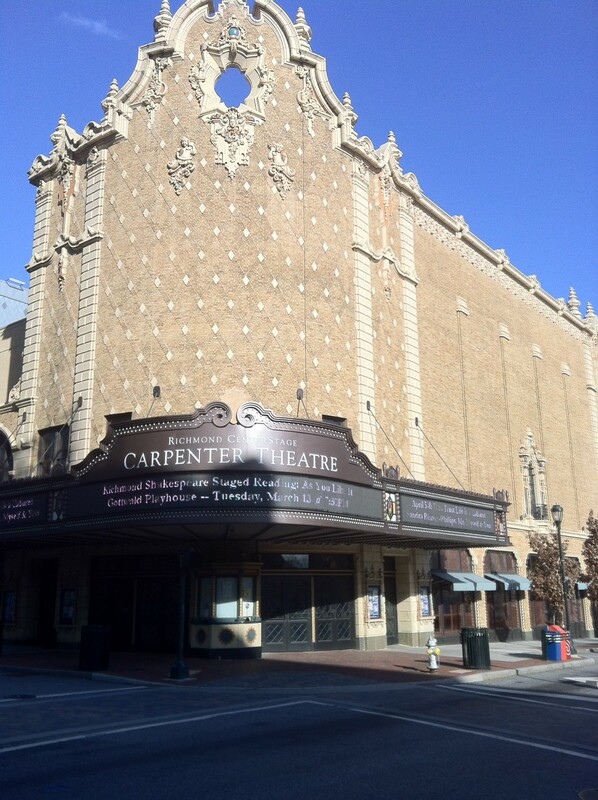 For club information, visit the Penn Club of San Antonio’s webpage. Twenty miles outside the traffic of Space City stands this monument commemorating Texas’ Independence from Mexico in 1836. 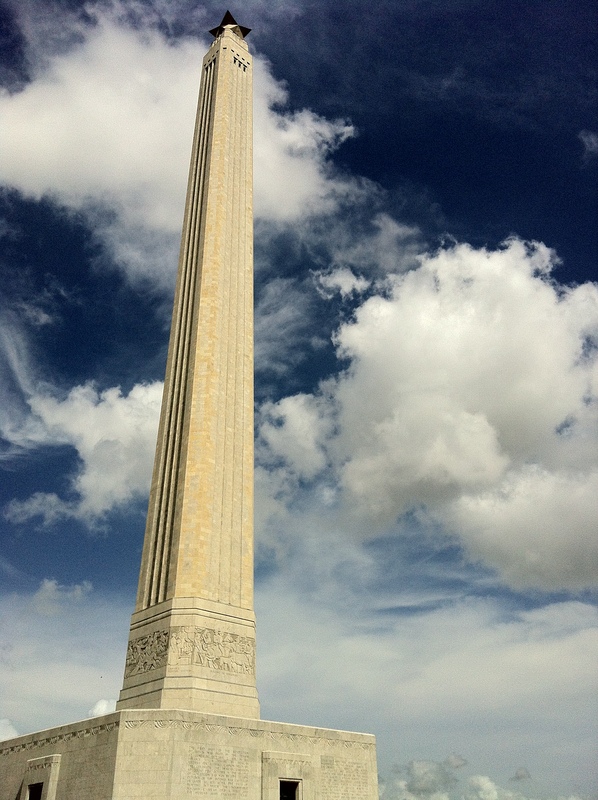 Almost 12 feet taller than the Washington Monument, the San Jacinto Monument is this world’s tallest monumental column. It stands at the site of the Battle of San Jacinto and today, commends a grand command over the state park. For club information, visit the Penn Club of Houston’s webpage. For alumni club activities and more information for our other 110 clubs, please visit the Global Alumni Network main page. 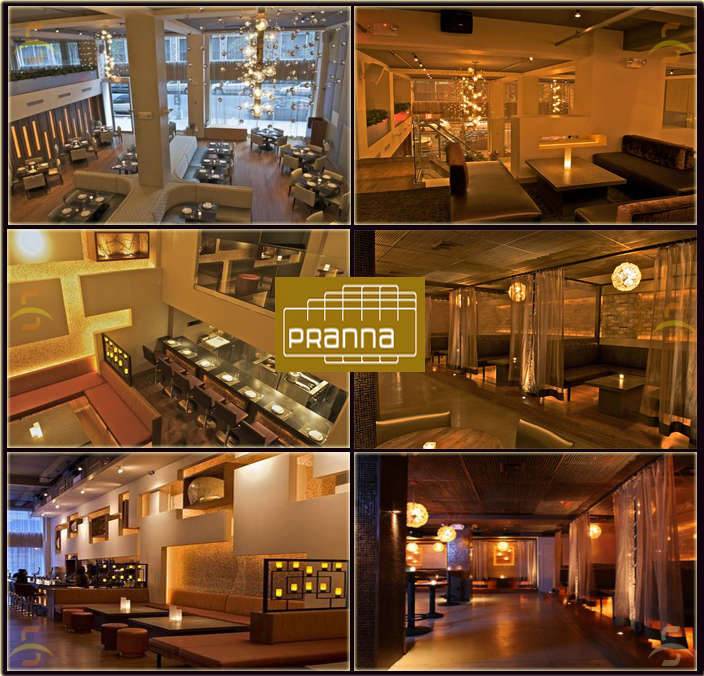 Join your fellow young alumni tonight at the fabulous Pranna, one of New York’s hottest nightclubs (79 Madison @28th Street). Alumni from the classes of 1997-2011 are invited to this 21+ event featuring dancing, a dj and open bar from 10 PM to 2 AM (cash bar after 2). Cost is $70 online or $80 at the door. Register now!